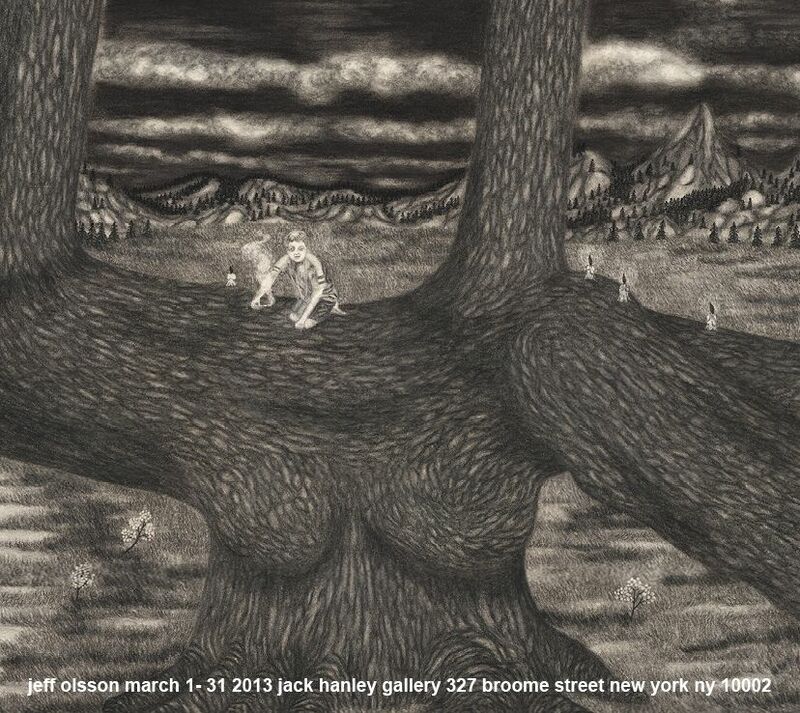 Jack Hanley Gallery is pleased to present a new body of large-scale drawings by Jeff Olsson. This exhibition will mark the artist’s first solo show in the United States and with the gallery. 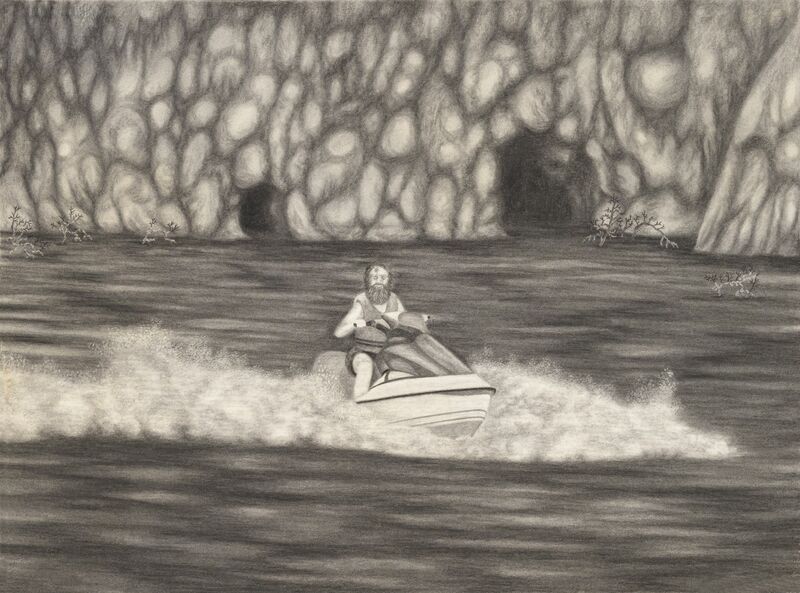 Olsson’s drawings in graphite and charcoal seduce the viewer into the remote wilderness. Figures are rendered with delicate graphite lines and powdery white highlights, going about mundane tasks bathed in an ethereal glow. The highly-detailed and lightly rendered foreground opens into a dark background bringing together an endless sea of mountains and cloudy skies, suggesting nothing but forest for the imaginable distance. 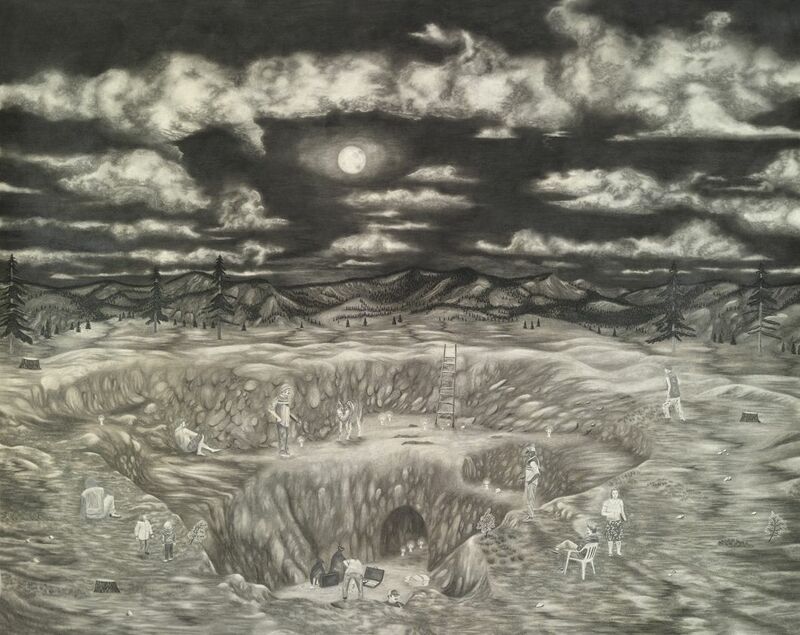 Olsson’s technique employs a subtle shift from figurative drawing to the expressionistic curvature of a Benton landscape, offering the viewer a dynamic range of whites, greys and blacks. 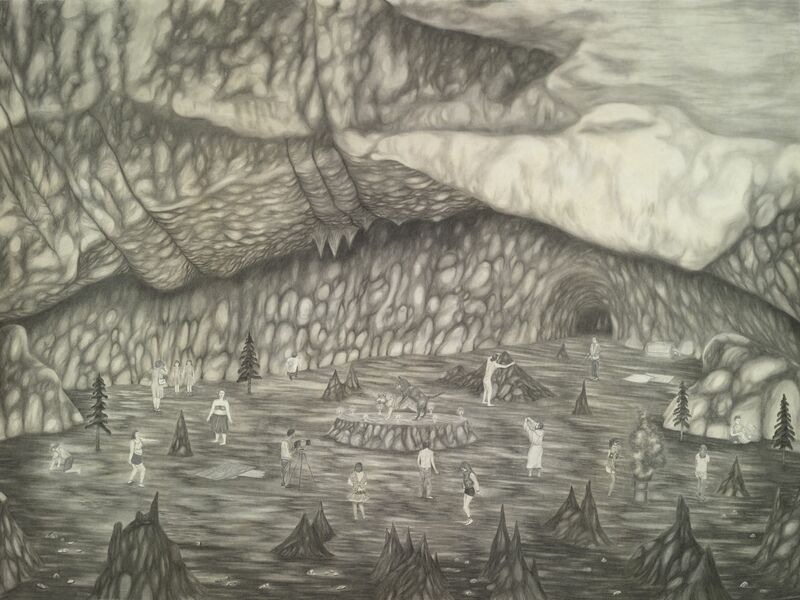 Compositions are focused around a single figure or group of people. A clearing in the forest stages the scene. The sepia undertones of the paper suggest a bygone era, while the characters’ dress - and at times, technology -suggest a contemporary society made up of people who have turned their backs on mainstream experiences and vanished into the wild. Somewhere between folk-tale and fantasy, the figures congregate around an inexplicable or vague and potentially cult-like event. After careful inspection, something disconcerting typically presents itself; whether it be the contrast of discordant visual cues or the ghostly rendering of figures, the scenes blend real and surreal events as though they represent freeze-framed microcosms from a lucid dream. Jeff Olsson was born 1981 in Kristinehamn, Sweden, and currently works in Gothenburg. 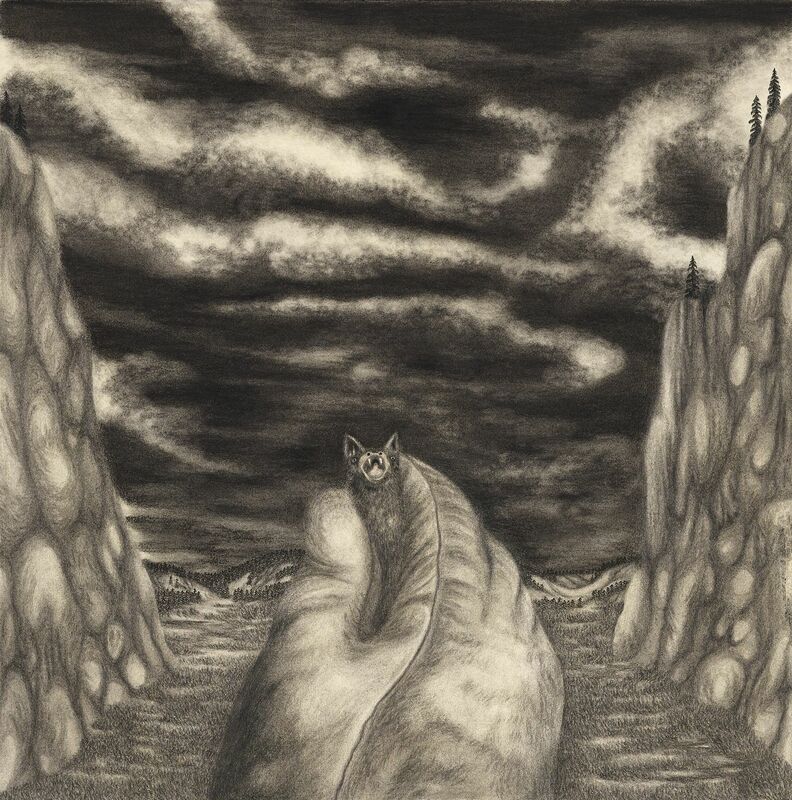 He earned his MFA in 2008 from the Valand School of Fine Arts. Solo exhibitions include the Galleri Magnus Karlsson (2010, 2011), Galleri Thomassen, Gothenburg (2009) and Galleri Big Love, Gothenburg (2005), and group exhibitions include Needles and Pens, San Francisco (2010), and Bonniers Konsthall, Stockholm (2008).